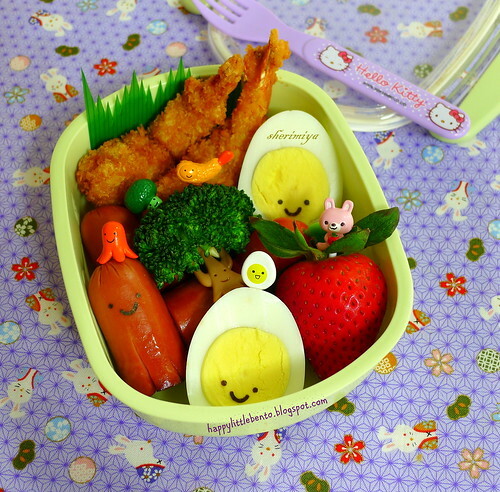 Bentobuddies Ebi Fry Bento, a photo by sherimiya ♥ on Flickr. Look at the cute bento picks. So so adorable! I had to make a bento to match them, so this one is for my TinySprite. I made ebi fry (fried shrimp), octodogs, hard-boiled egg, steamed broccoli, tomato and strawberry. 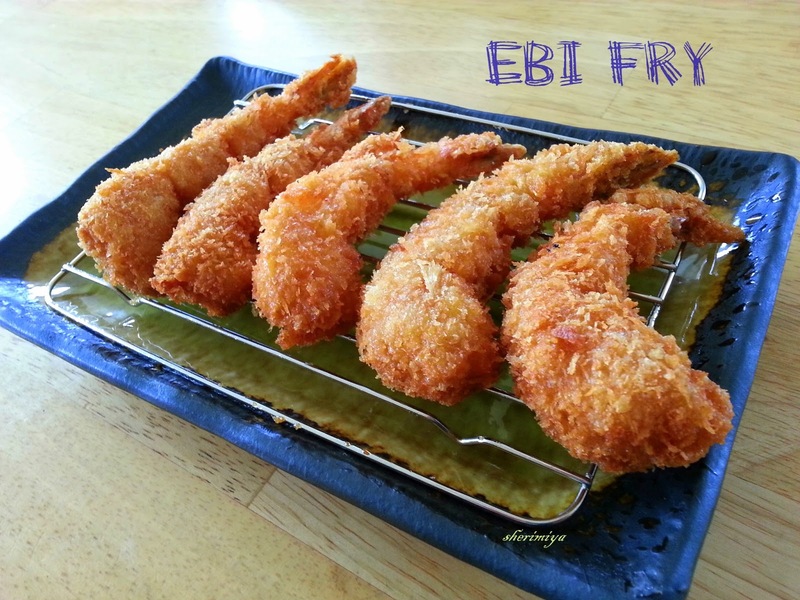 My girl loves ebi fry. I mean she LOVES it. I don't usually deep fry at home because I don't like to deal with the cleanup or the splattering oil. 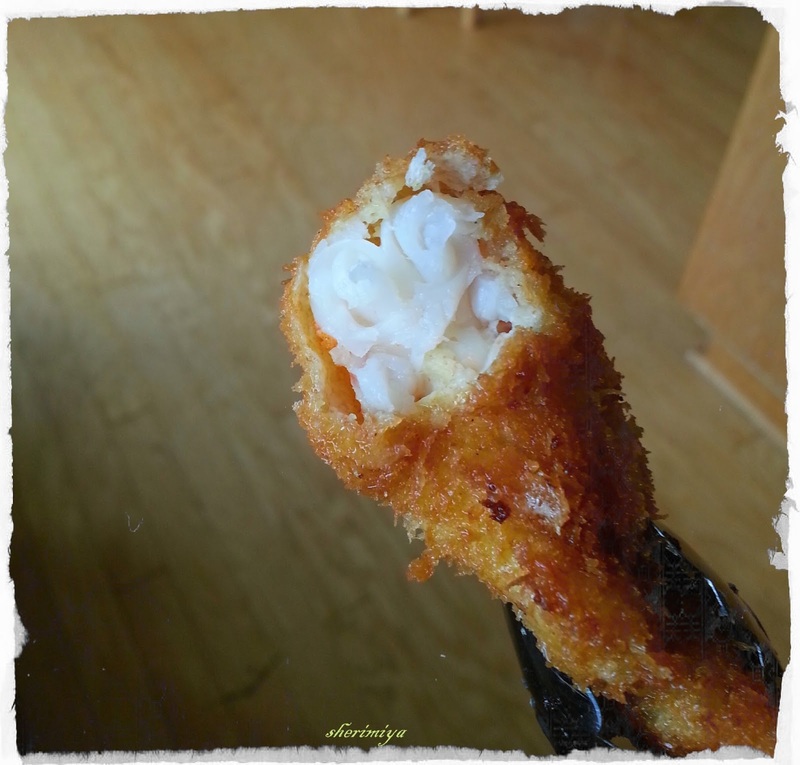 But it's totally worth it for this super crispy crunchy ebi fry. I used the recipe and method I found at Just One Cookbook, which calls for double dredging of the shrimp before panko. I think this results in the extra crispiness. When you make this, you should make a lot because the kids will end up grabbing them by the fistful and chowing down. I had them pack their own bento so they would be sure to save some for tomorrow! Delicious! Mmm.. that looks delicious! I especially love that tree pick for the brocoli. Too cute!